Thank you for your interest in our graduate program. The department offers M.S. and Ph.D. degrees in mechanical and aerospace engineering. Our faculty members have achieved national and international recognitions in diverse areas of research and scholarship. In addition to their research accomplishments, the faculty members are deeply dedicated to teaching and mentoring. We offer an outstanding selection of courses that combine fundamentals with the latest technological advances in a variety of fields. We aim to provide a superb educational experience that stimulates knowledge, discovery, creativity and technology development. 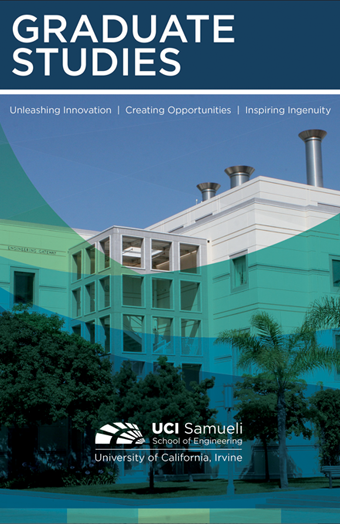 You will work with some of the brightest minds in the world, in cutting-edge experimental and computational facilities. And you could not think of a better place to spend this most creative time of your life than in beautiful Irvine, California. Please browse the links in this page to learn some of the basics of graduate study and research in our department. Detailed information on our program is available in the university catalogue. The Department has several sources of financial support for highly qualified students. These include fellowships, research assistantships, and teaching assistantships.